Negation typically occurs before the verb and any prepositional phrase. 1. He is not Chinese. 2. He is not tall. 3. I don’t have money. Negation usually occurs after an adverb. 1. They all cannot speak Japanese. 2. He neither smokes nor drinks. Certain adverbs may either precede or follow negation. The order of an adverb influences the meaning of the sentence. 1. He might not be at home. 2. He is definitely not at the home. 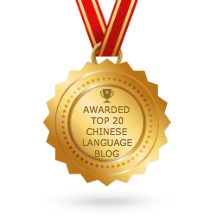 The common words that are used to negate verbs and verb phrases in Chinese are 不 and 没 / 没有. Try to make a few sentences with the above negation phrases. 啊， ‘不’ ‘没’ are the words that often confuse me. Both are correct, but with slightly different meaning. 他没来 : means He didn’t come. 他不来（了） : means He is not coming.